What better time to start a bucket list than the New Year?! If you have signed up for a voyage with SeaTrek BVI these are just a few of the bucket list items that you will check off during your voyage in 2018! This is arguably one of the most beautiful locations in the Virgin Islands. It also one of the most popular locations. Luckily, we arrive here just after the sun comes up in order to avoid the crowds. Seawater rushes in between the large rock formations creating beautiful pools to splash around in. There is even a designated jumping rock where you are sure to get an epic selfie! This is a must-have location for your bucket list. One of our most asked questions is: “Where do we sleep?”. Our yachts offer plenty of space to sleep everyone comfortably, but most will choose to sleep outside under the stars. Most of our anchorages are located off of remote beaches, providing the perfect conditions for stargazing. You are guaranteed to see shooting stars, so get ready to make a wish! 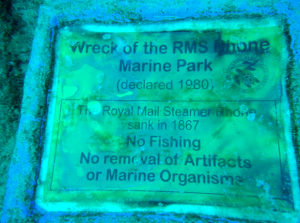 The RMS Rhone is one of the most famous shipwrecks in the BVI. This ship sunk in 1867 after a disastrous hurricane. This wreck has been underwater for just over 150 years, allowing for an amazing accumulation of marine life. 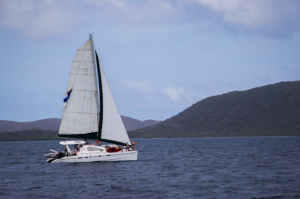 The consistency of the famous trade winds provides the perfect setting to learn how to sail. Each of the thirty-six tropical islands outlining the Sir Francis Drake Channel provides protected waters which are the best place to learn how to sail! 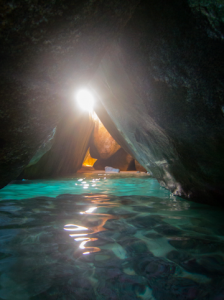 These amazing conditions are why the BVIs are considered to be the sailing capital of the world. Any avid sailor would have this on their bucket list! Sounds amazing right? 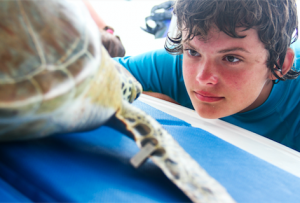 If you choose to participate in our turtle tagging program you will be able to get up close and personal with sea turtles! This science project provides useful data to the BVI Conservation and Fisheries Department for their ongoing research on sea turtles.